At the climax of Hyperion, tremors are passing through golden-haired Apollo’s classically beautiful body like electric shocks . He shrieks while “Creations and destroyings, all at once / Pour into the wide hollows of my brain”. Empathizing with all this random suffering and emotion is too much for a god to bear, let alone an artist or poet, striving to render teeming images exactly as they were when originally experienced. Empathy, though it is taught as a social box-ticking tool nowadays [Like] or confounded with entertainment, as a self-gratifying, vicarious thrill, is a physical sensation, an instinctive response, not a moral virtue that deserves congratulation. It is only as good as the thing created from it, whether that is a work of art or a compassionate act. In private life, if you are feeling empathy for someone you love who is suffering, you suffer, too. It is not like acting a role: you hurt. At some point you might lose yourself in your intensity of feeling, and break down. There’s no doubt that writing and painting, and performing, are therapeutic ways to find your identity again, metamorphosis of the de-created into a creator. There’s no doubt that publication helps further in building self-esteem; the evidence is here, on WordPress. This post has arrived at the brink of artistic and human catastrophe, the gap between aspiration and achievement, delusion and suspension of disbelief. Intensity of emotion is seldom commensurate to quality of art. Feeling how someone else feels is a poetic gift to a writer, a painter, or an actor, only if they have the technique to use it, the rare ability to pull the sword out of the stone. If art means anything at all, simply having a go yourself, “à se donner carriére”,  as Delacroix put it, isn’t the answer. Two hundred years later, we have twisted the Romantic revolution in artistic self-analysis into self-gratification. Self-taught or schooled, an artist or writer has to learn their craft; they must study past masters, not be an imitator of imitators; they must observe and reflect nature, not just themselves, and, according to Keats’ theory, if they are to fully understand the universe they portray, they must undergo fusion. Keats gave up being a surgeon, and through poetry became a physician of the soul. Personal bereavement is at the heart of many of his mature poems; as a professional writer he was seeking to achieve more than self-therapy. The poem itself should interact with readers like a medicine. He tested the psychoanalytical possibilities of literary forms further than any of his Romantic contemporaries and successors. All the dissolving that goes on in his poems is not hyperbole; he is practising (with or without the help of drugs) self-hypnosis. He is also deconstructing the craft of writing. For Keats, as part of creating a believable alternative reality, the poet had to go beyond self-expression to empathic loss of self in his subject. The insoluble artistic contradiction at the end of this process, is that in creating the actual feeling of feeling in a poem, or a painting, or a novel, or a play, whatever you do, it remains an artefact. Having exalted poetic Imagination as the saviour of human suffering, Keats became increasingly doubtful about its healing powers. 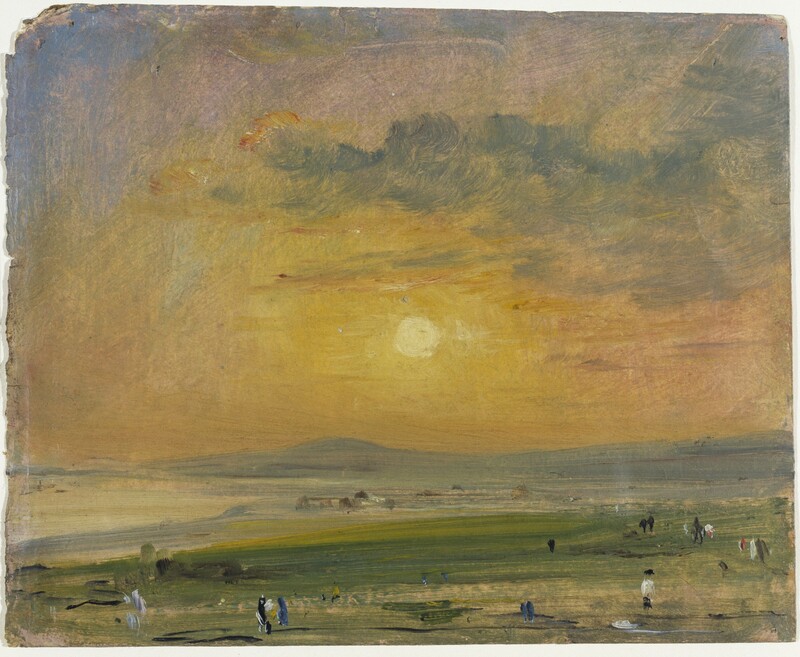 Constable, Coast Scene at Brighton: Evening, oil painting, ca. 1828 © Victoria and Albert Museum, London. Constable painted this ode to the dying day while his wife Maria was seriously ill with tuberculosis. She died about six months later. Is it necessary for us to know this biographical detail to appreciate the artwork? No. Any artwork lives or dies on its own merits, not its backstory. If the artist had wanted to paint a mourning picture of himself by her deathbed, he would have done. Instead, he identifies his feelings with his subject, nature. And we must be careful here. 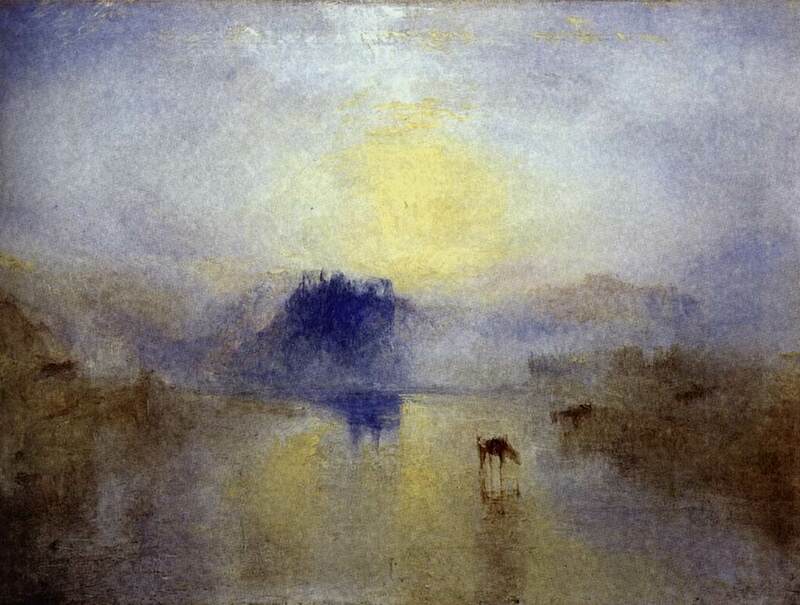 We can intuit as much as we like from a bit of historical research, but if we seek truth, rather than rely on empathy, we must admit that we do not really know what Constable was feeling; we cannot rely on letters and memoirs, any more than we can rely on our own texts and emails, to reveal anything under the surface. We project narratives on to his work, of the heartbroken husband, the devoted single father of seven children, when all we should be doing is looking at the man’s art.